By John Murdoch on 2018-06-12 - John is regional editor for Media Scotland's Lanarkshire and Lothian titles. Three times president of the Association of Scottish Motoring Writers he has been writing about cars for over 40 years. Recently awarded lifetime membership of the National Union of Journalists and was the subject of a motion in the Scottish Parliament congratulating him on his service to newspapers. 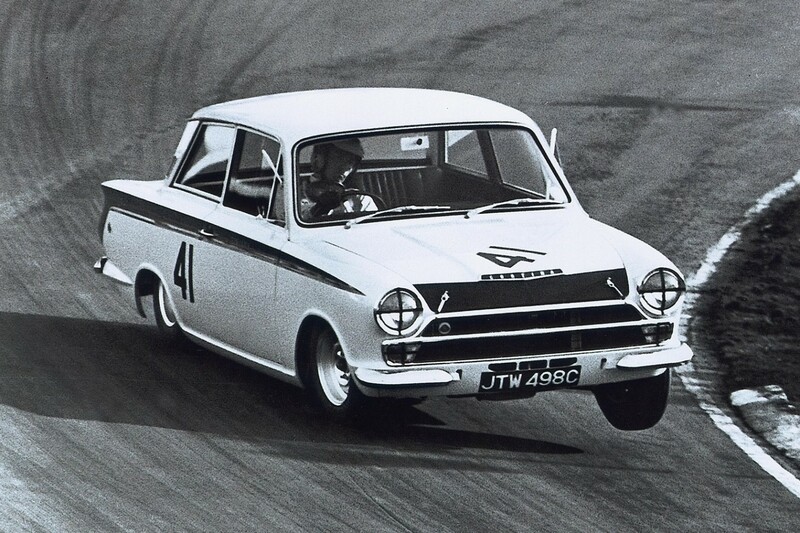 SIXTY-two years almost to the day after launching the career of Scotland's greatest racing driver, Ian Scott-Watson has been recognised by the Association of Scottish Motoring Writers. 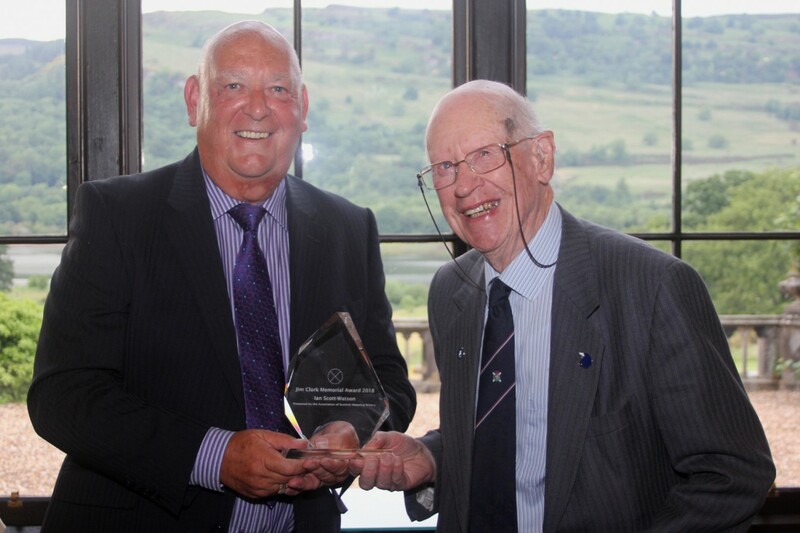 He was presented with the Jim Clark Memorial Award by Association President John Murdoch at a Jaguar sponsored ceremony in Mar Hall near Glasgow. The 87-year-old Scott-Watson was the first person to recognise Clark's superb talents behind the wheel and provided his friend with numerous cars to start his fantastic career. At the ceremony he recalled Clark's early exploits with a D-typeJaguar before he was presented with the award which acknowledges and rewards the outstanding contribution of a Scot or Scots for services tomotoring. In the early days Clark took a lot of motivating. He did not realise how good he was and Scott-Watson spent years encouraging his friend:"I may not havebeen a judge of what was required to make a grandprixdriver, but I could tell from the wayJimmy drove both on the road and on the track that he was exceptionally quick. On the roadhe was amazing, perfect to sit beside. His driving was smooth, and his anticipation marvellous. "You could feel him ease off the throttle and then spot a car he had already seenapproach on a distant side road. It was difficult to know why he did not feel confident abouthis own ability. He chewed his fingers even then. He lacked confidence, yet when he got onthe track it was totally forgotten. He gave it everything and drove superbly." Scott Watson's motives were altruistic.He loved motor racing and once Clark's ability emerged saw himself in the role of promoter. He was first to provide a car, took every initiative in advancing Clark's career and effectively organised his exploits with the Border Reivers' D-type Jaguar. His first race at Full Sutton earned a place in the record books as thefirst sports car driver to lap a British circuit at over 100mph. Yet it was not plain sailing. 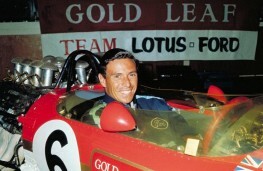 Having accompanied Clark, in effect running his business affairs when he was taken on as a GrandPrixdriver by Lotus, Scott-Watson was asked to take a back seat. He wrote later that being forbidden to act as Jim's manager was a blow. "I thought I might have had a small managerial percentage of his winnings and recoup some of my large personal outlay. Later Jim did leave me a small bequest in his will, which I appreciated." Presenting Ian with the Jaguar sponsored trophy John Murdoch said: "This is the 50th anniversary of Jim Clark's tragic death at a minor event atHockenheimand he is still regarded as one of the all time greats. 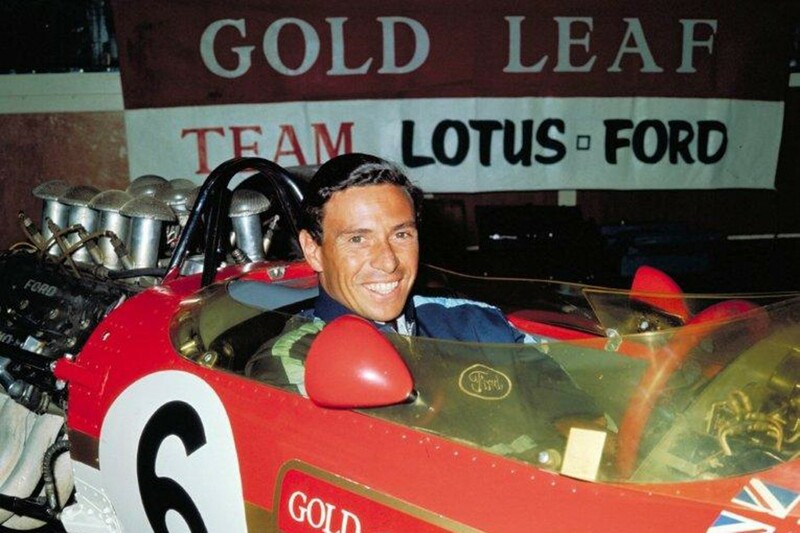 "No one deserves this honour more than Ian Scott-Watson and I am delighted that the Association has finally got around to recognising the part Ian played in Jim Clark's glittering career."